TAMBUN (5191) succeed break through bolinger band squeeze. It keep going higher high & create new high record, How high will it go? 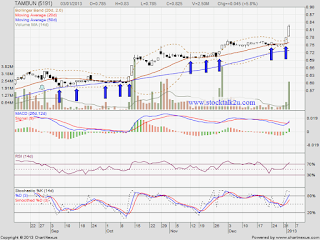 Immediate support @ MA20 which is around RM0.76 level. 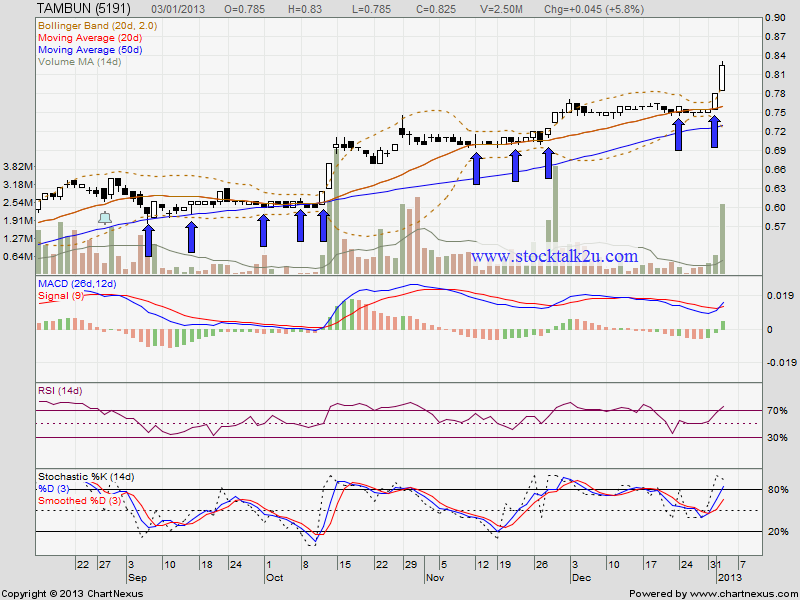 Subsequent support @ MA50 which is around RM0.73 level. It's opportunity if retrace down retest support.